The US Coast Guard Research and Development Center (RDC) is conducting market research to identify technologies that are a suitable alternative to current requirements for pyrotechnic VDSDs as the final link in distress alerting and locating. The parameters include personal and vessel distress signal devices regardless of weather conditions or the time of day/night for visual detection. The common methods of detection include the unaided eye, electro-optical equipment, or other sensor types. Information on devices that rely on Light Emitting Diode (LED), laser, or other high-intensity technology is preferred, however any viable VDSD technologies will be considered. With modern position reporting equipment such as EPIRB’s, PLB’s, and AIS, there is no logical reason to continue using pyrotechnics. Some form of visual communication will still be required and the technologies that give the best overall performance in distance and duration will eventually make the alternative list of approved non-pyrotechnic signal products. One such product that was submitted is the Rescue Laser Flare. It is important to remember that until an eventual USCG approval, boaters will still need to have the requisite, traditional, day and night signals aboard their vessels. That requirement doesn't preclude carrying Rescue laser Flares in addition to the USCG approved or SOLAS caliber pyrotechnics. Boaters might want to consider rigging a Rescue Laser Flare on life jackets, with another one or two stowed in the flare locker "just in case". Nobody ever died at sea as a result of having redundant safety systems. The Rescue Laser Flare has an expanding beam. The following are a performance comparisons and specifications as presented to the Coast Guard. 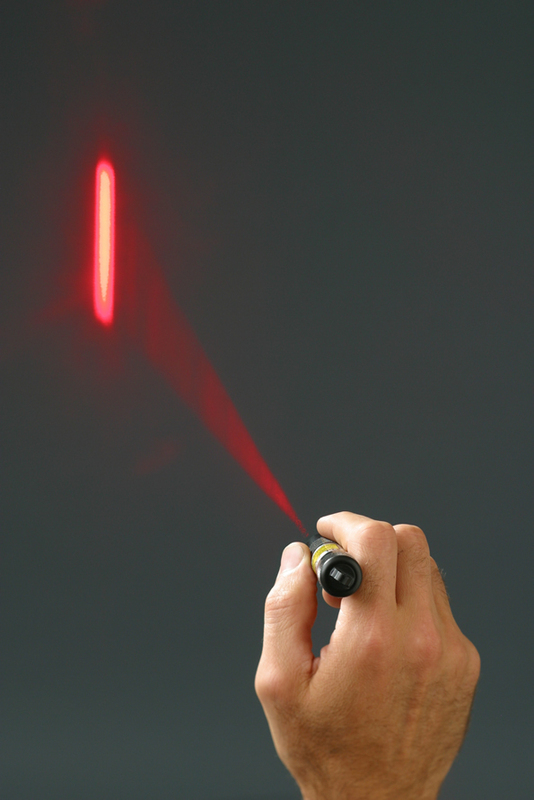 The benefits of the Rescue Laser Flare are “clearly visible”.